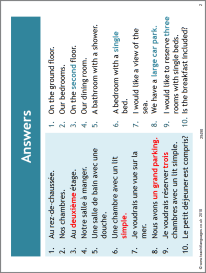 Find and correct the four French hotel phrases which do not match the English translations. A simple starter idea, easily adaptable to your class and topic. Answers are shown on the second slide.